Bundles of provisional ballots wait to be vetted and counted in the Humboldt County Elections Office. 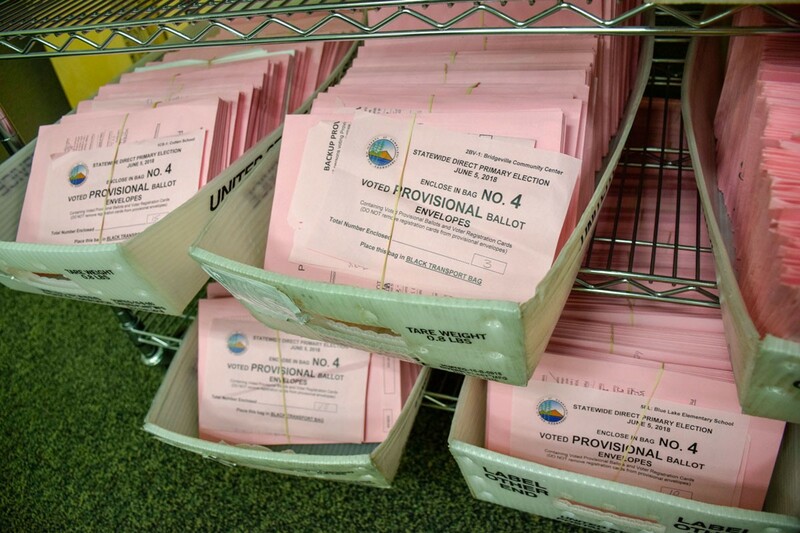 Does Humboldt County have the most ballots remaining uncounted of any county in the nation? One national elections expert thinks so. I think it was @DKElections that used to describe slow-vote counting election offices as "taking a ganja break." As fate would have it the country's biggest stash of remaining uncounted ballots (at least by my estimate) is in Humboldt County, CA. For those among us who aren’t elections nerds, Wasserman is kind of a big deal. His work forecasting U.S. House races is frequently cited in the nation’s top publications, including The New York Times, The Wall Street Journal, The Washington Post, The Economist and others, and he drew widespread praise for writing a prescient piece months before the 2016 election pointing out there was a likelihood President Trump could win the election while losing the popular vote. In short, the guy is widely regarded as knowing his stuff. 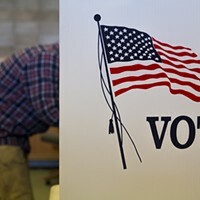 The California Secretary of State, which oversees vote counting in the notoriously slow to tabulate Golden State, maintains a county-by-county list of how many ballots remain to be tallied. As of this morning, Humboldt County is still listed as having the second most outstanding ballots in the state, with 15,866, less than half that of that of Riverside County’s 38,000 remaining ballots. But Wasserman maintains that Riverside processed most of those ballots yesterday and now has just 11,000 left, pushing Humboldt into the state lead. The Journal tried to get the Humboldt County Elections Office to weigh in on the subject but the office is closed today for the national day of mourning, which leaves us wondering when we can expect a final tally. Heck they'll HAVE to finish up by 4/19 to celebrate on 4/20!